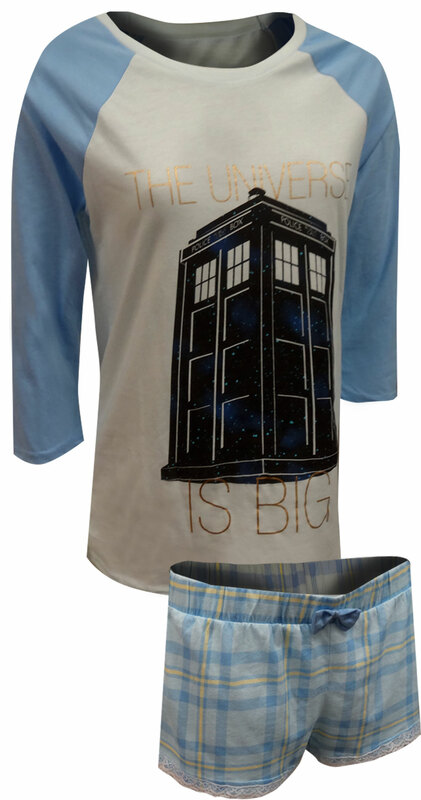 Description: Finally something for the ladies Dr. Who fans! 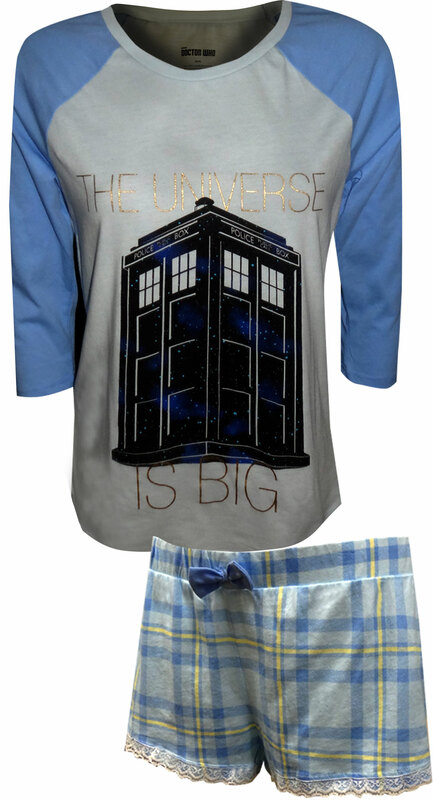 This shortie pj set for women features the time machine from the BBC's popular Doctor Who series. Updated styling on this raglan style tee and a bold graphic look great. The wide elastic waist lace trim plaid shorts add a nice girly touch. Machine washable, junior cut.